The debate around reservation policies in India is deeply polarised. Anti-discrimination laws and reservation policies were brought in to ensure that Scheduled Castes (SCs) and Scheduled Tribes(STs) are protected from discrimination in the spheres of employment, education and political representation. The idea was to not just improve their economic status, but to address the denial of rights and oppression meted out to these groups over the years, and to work towards rectifying their utter lack of representation in public office. The question of caste still looms large in India, yet many among us refuse to see, hear or understand caste and what it means for those who suffer because of it. In this feature, we bust some of the common myths regarding caste-based reservation policies. This is based on the empirical and theoretical analyses offered by Sukhadeo Thorat, Nitin Tagade and Ajaya K Naik in a special article published in the Economic & Political Weekly, Vol 51, Issue No 8: "Prejudice against Reservation Policies: How and Why?" 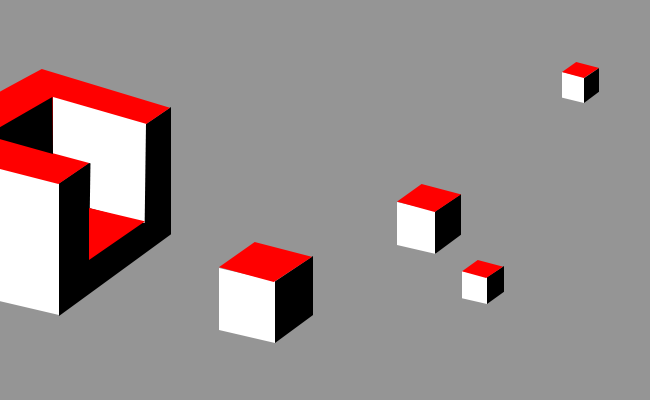 Click on each box for a reality check. "So many rich people are benefiting from reservation just because of their caste." Why should reservation be based on caste and not economic status? "Look at India. Reservation has clearly not helped the poor." Are reservation policies really helping in reducing poverty? "Unmeritorious people are getting promoted. India will never become a developed country like this." Are reservation policies slowing India's progress? Untouchability and casteism are things of the past. We will never progress if we keep talking about caste. Is there a need for reservation policies in this day and age? An important point to note about discrimination is that it occurs on the basis of a group's social and caste identity, irrespective of financial status. 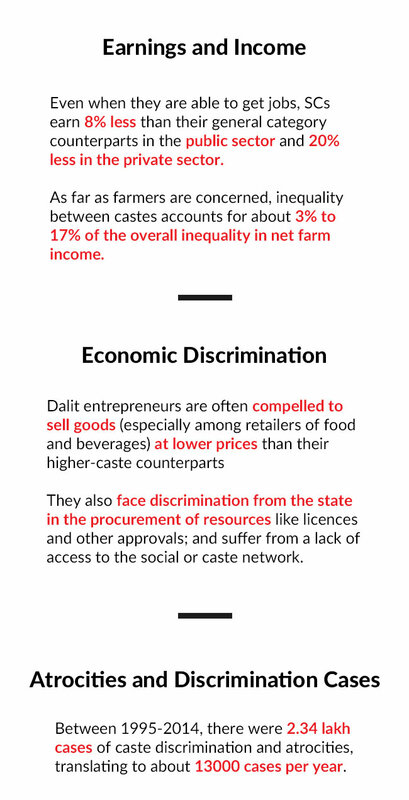 Dalits and the STs have been marginalised in the Indian society for years. Anti-discrimination laws and reservation policies were brought in to ensure an end to this marginalisation. Perhaps, an argument can be made that economically well-off SCs and STs can be selectively excluded from concessional or subsidised financial support. They cannot be excluded from reservation policies because they are entitled to protection against discrimination based on their group identity. As for economically weak SCs and STs, they need both financial support as well as reservation to ensure fair access to employment and education. Malaysia, South Africa and many countries in the European Union have supplemented anti-poverty policies with equal opportunity policies for excluded groups based on group identity. The argument to only use economic criteria instead of caste is based on poor theoretical footing. It is not rare to find "general" category Indians blame reservations for not finding jobs. However, contrary to the popular perception, reservation policies apply to only a handful of jobs in India. Private sector jobs and temporary government jobs are exempt from reservation policies. Reservation in employment is confined to a tiny segment of permanent government employees only. Over the years, employment in permanent salaried jobs through reservation has reduced poverty to a significant extent among SCs. The coverage of government jobs under reservation is so small that it had limited impact on the overall well-being of SCs. Not having any reservation policy in place would have further slowed the decline in poverty. Many people worry that reservations are making India inefficient. However, we must remember that to achieve economic efficiency and optimal economic outcome, certain freedoms like the choice of occupation, work and educational opportunities are necessary preconditions. What we have had in India for many years, which continues till today, is a caste-based society with an unfree economic order. Our caste-based society has affected the mobility of capital, because of the restrictions across caste occupations, on the acquisition of skills and education. In fact, some occupations are considered impure and polluting. Reservations are interventions to equalise this unfree order. They help remove these imperfections in the markets through affirmative action policies and are positive steps for economic growth. Often, the urban upper classes tend to think that caste no longer exists. The privilege of being from the "general" category allows its beneficiaries to encash its traditional caste capital and convert it into modern professional identities of choice, while pretending that caste does not influence their lives. However, those from lower castes rendered immobile across socio-economic structures, are forced to intensify their caste identities. While there has been some improvement in access to civil rights for the SCs and STs, discrimination and untouchability practices are still widespread in India, and far from extinct. Inequalities in India, in terms of ownership of assets, education, employment, civic amenities, and income and poverty, are due, in large part, to the economic discrimination perpetrated against the SCs. To gain a deeper understanding of the prejudices against reservation policies, read the original article here. Deshpande, Ashwini and Thomas Weisskopf (2010): "Does Affirmative Action Affect Productivity in the Indian Railways?," Working Paper No 185, Centre for Development Economics, Delhi School of Economics, Delhi. Despande, Satish (2013): "Towards a Biography of the 'General Category':Caste and Castelessness," Economic and Political Weekly, Vol. 48, Issue No. 15, 13 April.